In addition to providing blood products to use for transfusion and transplants, Stanford Blood Center (SBC) also collects blood products that play a major role in advancing medicine through research. Unlike most blood centers, we use every single part of your donation, including parts of your blood that might not be directly transfused into a patient. When a whole blood donation is made, Components Lab staff test and process the whole blood donation, dividing it into several components: plasma, red blood cells, and a layer of white blood cells called buffy coats. Depending on need, the products are then shipped to partner hospitals or researchers. During the platelet donation process, white blood cells are filtered from platelet products using a leukoreduction system (LRS), since white cells can cause a variety of transfusion reactions. 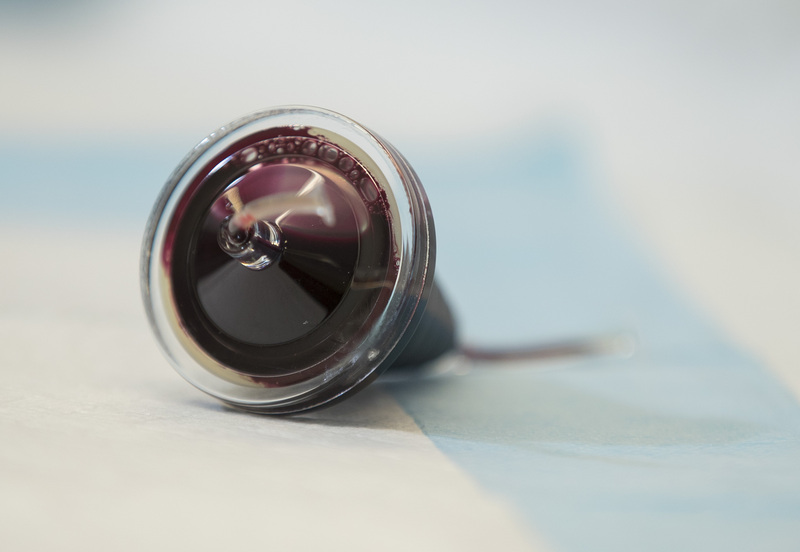 Most blood centers often throw this product in the trash but a few organizations, including SBC, have determined a way to minimize waste by making these white blood cells available for research purposes. These readily available groups of white cells are collected into LRS chambers. Lorna Tolentino, SBC’s Flow Cytometry Lab Manager, conceptualized the idea of reducing waste of blood byproducts by offering LRS chambers and primary cells for research. “I noticed that we were throwing away quite a few LRS chambers every day and, as a researcher, I know how valuable these products are. I aimed to see if we could find a way to isolate these and have them readily available for researchers to purchase, thereby maximizing the use of each donation. It is a win-win for donors, researchers and for SBC,” said Lorna. The research applications using these LRS chambers play a role in advancing discoveries related to a variety of diseases and ailments, from cancer to Alzheimer’s, to allergy research, and everything in between. There are over 1 billion cells in each LRS chamber, which is very valuable to researchers, as it allows them to conduct more lucrative experiments. SBC is now assisting researchers even further by dividing white blood cells into primary cells. The LRS chambers that have not been ordered for shipment to labs are put aside to further isolate specific cell types, called primary cells. SBC can extract multiple types of cells from one LRS chamber, each for its own scientific purpose. Primary cell isolation can be more tedious, time consuming and expensive for researchers, due to variability of the process. So to make it easier for them, SBC is offering standardized isolated primary cell products that they can purchase. Bozic says SBC’s ability to provide such valuable offerings comes down to the incredible team members of both the Flow Cytometry Lab and Customer Relations, as well as their collaborative spirit. Learn more about donating blood for research by visiting https://stanfordbloodcenter.org/research-labs/donating-for-research/.